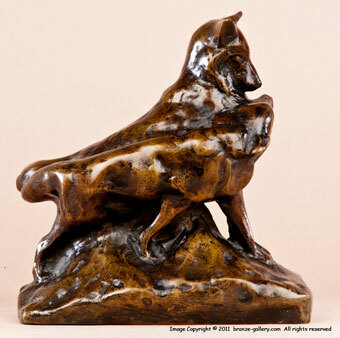 Edwin Deming created many small sculptures of American wild life and American Indians. These small pieces were quickly modeled and captured the nature of the animals they portrayed. 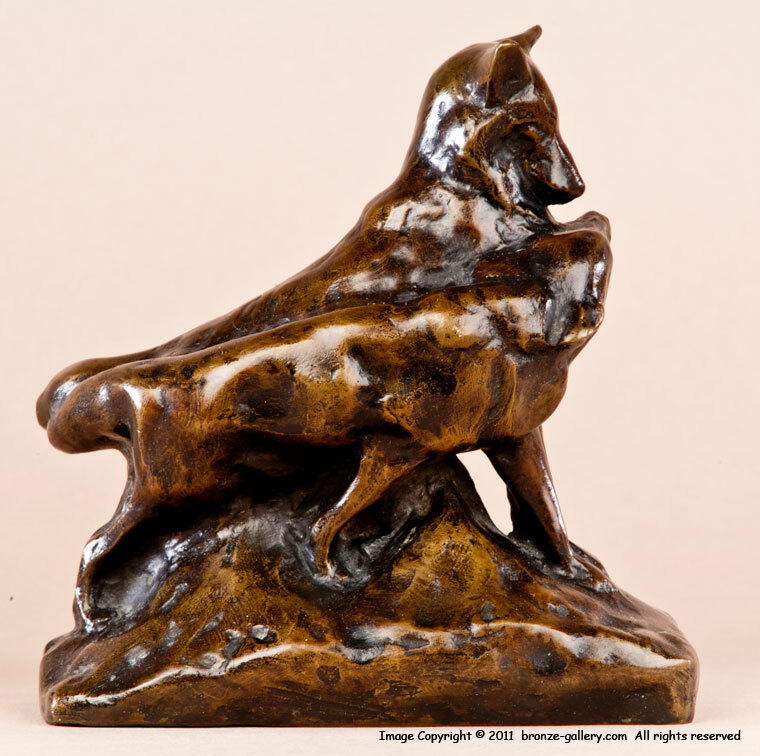 Wolves and Bears were among Deming's favorite subjects and he sculpted them at rest and at play. His life in the wild studying the animals brought him much insight into their nature and lives. This small bronze shows Two Wolves affectionately nuzzling each other and rubbing their bodies together. They were probably a mated pair as Wolves are very faithful to their mates. 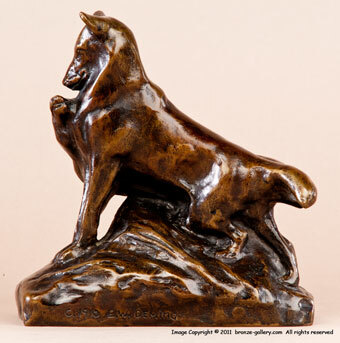 The bronze has a rich reddish brown patina and is signed EW DEMING and dated 1910 with a copyright symbol. It is a fine example of his work and shows his affection for the animals he studied.